Watch us on the Daystar Television Network. Saturday evening 11:30pm EST, 10:30pm CST, 9:30pm MT, and 8:30pm PT. Tuesday mornings at 10:30 am EST, 9:30 am CST, 8:30 am MST, 7:30 am PST. A new 4-part video study series companion to the 1335 Kingdom booklet. Our Blessed Hope, "The Rapture"
For those who are not currently supporting our work in Israel and our Global Media Outreach, would you consider becoming a LoveIsrael.org Partner by donating $35 a month? V'ahavtah Yisroel is Hebrew for Love Israel. The purpose of this institution is to provide biblically-based teachings with an emphasis on the Jewish context of scripture. Even though we hope all people will benefit from our teaching, there is a cognitive effort to present scripture, emphasizing the original context and cultural sensitivities so that those of Jewish descent might also appreciate the message of the Gospel. Please visit our Hebrew website, pdut.org, which contains additional written articles and videos. Thanks to the generosity of volunteers and their communities, we’d like to encourage you to visit and support our Dutch, Romanian, Spanish and Northern Europe websites. Does the Holocaust have any prophetic significance? Was the timing of the Holocaust and the restoration of the state of Israel of any significance in the fulfillment of biblical prophecy? How, if at all, does this affect our understanding of the last days? A new 4-part video study series by Dr. Baruch Korman answers these questions as well as providing scriptural based truth behind God’s word. Dr. Baruch walks us through historical events to reveal if the Holocaust was unique and if it gives us a paradigm of what will take place in the future, the last days. Are you prepared? The Bible speaks of Our Blessed Hope, which is commonly referred to as the Rapture. This video was produced to answer some questions concerning a discussion seen on TV by a good friend of Baruch. Although many parts of scripture are studied to arrive at a clear conclusion, the Greek text is used to show the meaning of the primary text of 2 Thessalonians 2:1-8. METV, channel 150 on HOT cable and channel 109 on YES Israeli Satellite. Channel 69 on HOT and channel 49 on YES. Thursday Evenings at 10:30 pm (Hebrew) METV in Israeli Standard Time. Sundays at 10:30 am (English) DayStar in Israeli Standard Time. Sundays at 11:00 pm (English METV) in Israeli Standard Time. DayStar Television Network is available on most cable providers, Dish Network and DirecTV. Saturday evenings at 11:30 pm EST, 10:30 pm CST, 9:30 pm MST and 8:30 pm PST. Superchannel 55, WACX is in the greater Orlando area including Gainesville, Ocala, and Daytona Beach. Monday evenings at 7:30pm EST. Faith Broadcasting USA on Dish Network channel 269. GodTV on DirecTV channel 365. Sundays at 7:30 pm EST, 6:30 pm CST, 5:30 pm MST, 4:30 pm PST. Tuesdays at 10:30 am EST, 9:30 am CST, 8:30 am MST, 7:30 am PST. DayStar Television Network Sky channel 583. Faith Broadcasting UK Sky channel 594 and (FTA) on Astra 2. Sunday mornings at 8:30 am. Saturday mornings at 6:30 am. Tuesday mornings at 10:30 am. Saturday evenings 11:30pm Toronto and Montreal time zone, 10:30pm Winnipeg time zone, 9:30pm Calgary/Edmonton time zone, 8:30 pm Vancouver time zone. Faith Broadcast Africa DSTV channel 341. Tuesday evenings at 10:00 pm. Wednesdays at 6:00 am and 3:00 pm. Saturdays at 10:30 am. Sunday 5:30pm Brisbane/Sydney time zone, 3:30pm in Western Australia, and in New Zealand 7:30pm. CNL covers most of Russia. CNL covers most of the Ukraine. Subscribe to our podcast and never miss a new release. Don't want to watch a video? Don't worry! Listen to our video teachings for free on iTunes or Oneplace. We encourage you to visit these great online resources and tools for reading and studying the bible. To see a short video on how BSC works, click here. Through a partnership between LoveIsrael.org and HELPS Ministries Inc., The Discovery Bible has been made available at a deep discount. Please visit here for more details of this special offer. YOU ARE SUPPORTING MUCH MORE THAN THIS WEBSITE. Even though this site is in English, the vast majority of our work is done in the Hebrew Language. This is reflected in our Hebrew-only website, Pdut.org. Your donation also helps support the staff of our new educational center, in the greater Tel Aviv area, which was purchased debt-free. One of the best investments that one can make in the Kingdom work is training and equipping indigenous workers. The Israelis we are training best understand the cultural mindset of their fellow countrymen and the hindrances that keep them from embracing the Gospel. When these individuals are trained and equipped with the Word of G-d, they can multiply themselves faster, thereby multiplying your investment in the Kingdom. We offer this training, as well as the materials we have developed, at no cost to the students. LoveIsrael.org, although functioning under the auspices of Seed of Abraham Ministries, Inc., is responsible for its own funding. As part of Seed of Abraham Ministries, LoveIsrael.org is a registered non-profit corporation in the State of Florida and a 501(c)3 non-profit charitable organization. Therefore your donations are fully tax deductible. Click the PayPal button below to make a donation. 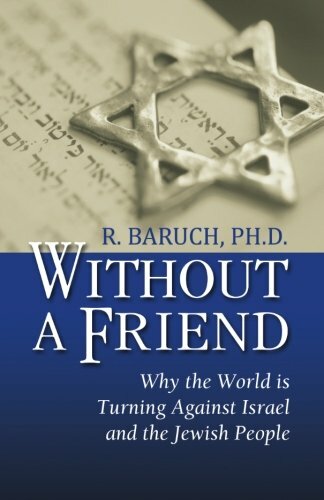 Without A Friend is an inductive study of many of the primary texts both Biblical and rabbinical which deal with a proper understanding of what will happen not just to Israel, but the entire world, in the end times. So much of today’s prophetic conversation is framed by the excerpts in scripture that revolve around persecution, Beasts and Dragons, “Seals”, “Trumpets”, and, of course, the Anti-Christ. With so much focus on the expected horrors of the future, the fulfillment G-d’s plan for redemption and the return of Messiah Yeshua become little more than an afterthought. But the hope that was spoken of through the years was not completed with the events leading up to Messiah’s return, but in the Kingdom that would be established upon the return of Yeshua. 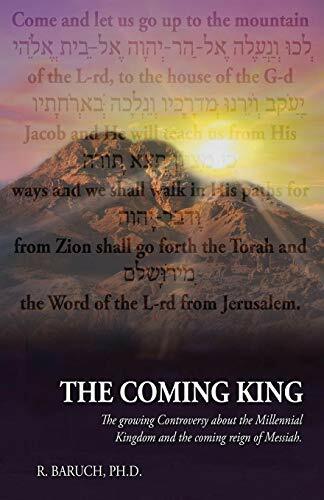 34 video teachings on 6 DVDs from Israel by R. Baruch, Ph.D. Each Bible teaching is on location from Jerusalem, Bethleham, Ashdod, Mount Karmel, Bethesda, Jericho and many, many more! Every teaching will serve to encourage you to visit Israel and discover the splendor of the Land and its people. Sign up with your email address to receive LoveIsrael.org news and updates.